Ever since the Kat Von D Tattoo Liner in Trooper was released, various vloggers, bloggers, and beauty experts have been raving about its jet black pigment, amazing staying power, and easy-to-use brush tip. And now that it's locally available, more Pinays can now get their hands on it without having to ask their balikbayan relatives or friends to buy one for them! But its price tag is not very wallet-friendly—P1,233, to be exact, which is why we sought out the best affordable alternatives in the department store. 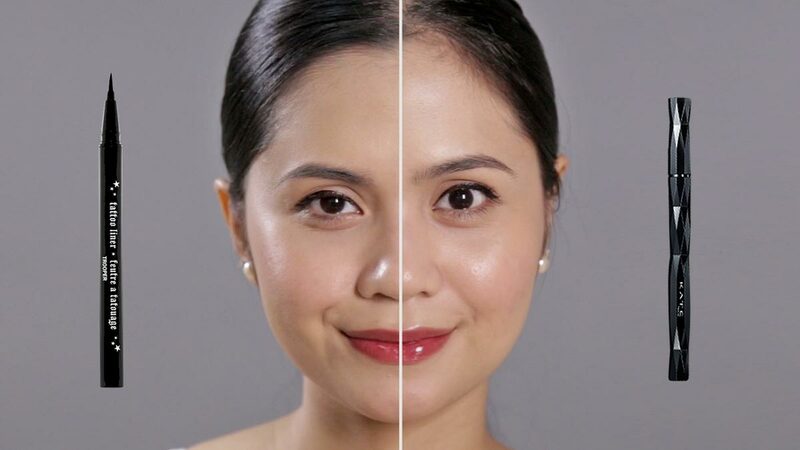 Together with YouTube beauty vlogger Anna Cay, we swatched and tested eyeliners from Kate Tokyo, Nichido, and Shawill to find out which one works just as well, or even better.